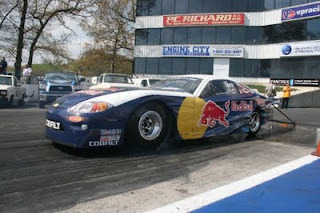 Front wheel drive drag racing is as wrong as it sounds, the car wants to unload the driven tires as you accelerate. The late 90's and early 2000's, import drag racing was all the rage. From the streets to the first Battle of the Imports, the birth of the import industry started with drag racing. Over the years, it went from grassroots to pro teams, pro drivers and seven second quarter miles. Eventually the popularity of drag racing started to die out, the money behind it went away. Some of the sanctioning bodies went away. Out on the west coast, import drag racing is on life support. Drifting got popular, and lots of the guys from import drag racing, eventually got involved with drifting and time attack. The Pro FWD guys have been bantering back and forth over the last few days over some heads up competition. Its good to see some of the old names ready to go at it at some head to head drag racing. Nothing is set in stone yet, but the rumors say the race should be in October.